Easter is just around the corner. That means chocolate. We've found a few allergy-friendly #NewFoodFind chocolate treats that will hopefully make your Easter a little sweeter. 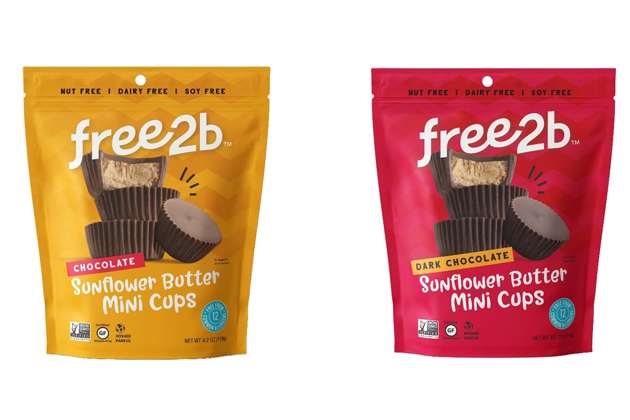 free2b Sun Cups Minis – Mini Sun Cups in Dark Chocolate or Rice Chocolate in a resealable bag. These are the perfect size for filling Easter eggs. 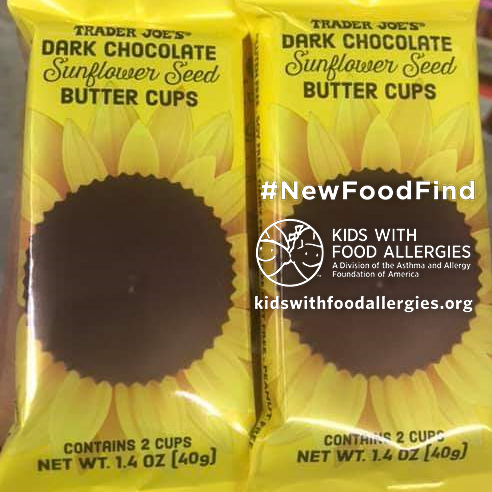 Trader Joe's Sunflower Seed Butter Cups – Two-pack of dark chocolate covered sunflower seed butter cups available exclusively at Trader Joe's. 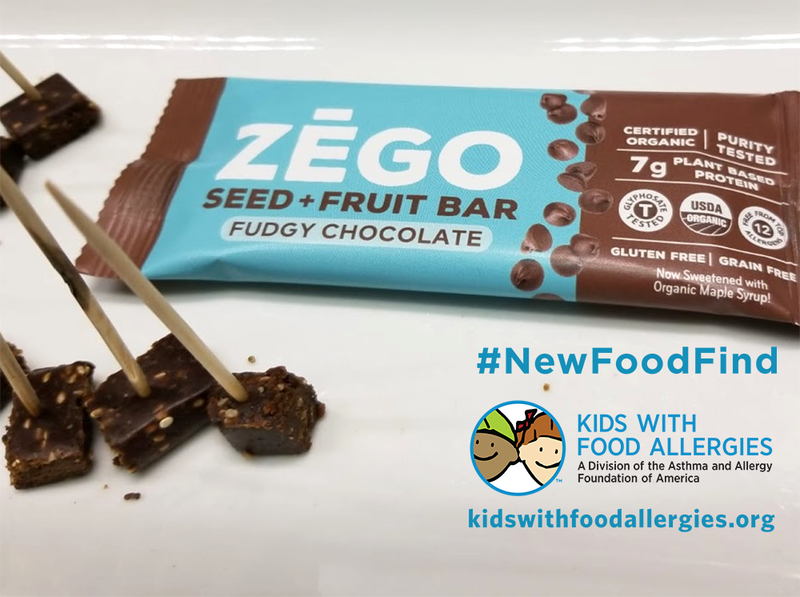 Zego Fudgy Chocolate Seed and Fruit Protein Bar – Santa Barbara and Pascha chocolate chips melted into Zego's signature batter with raw cacao powder. Dark chocolate with seeds and sunflower seed butter create a texture that is smooth and crunchy. 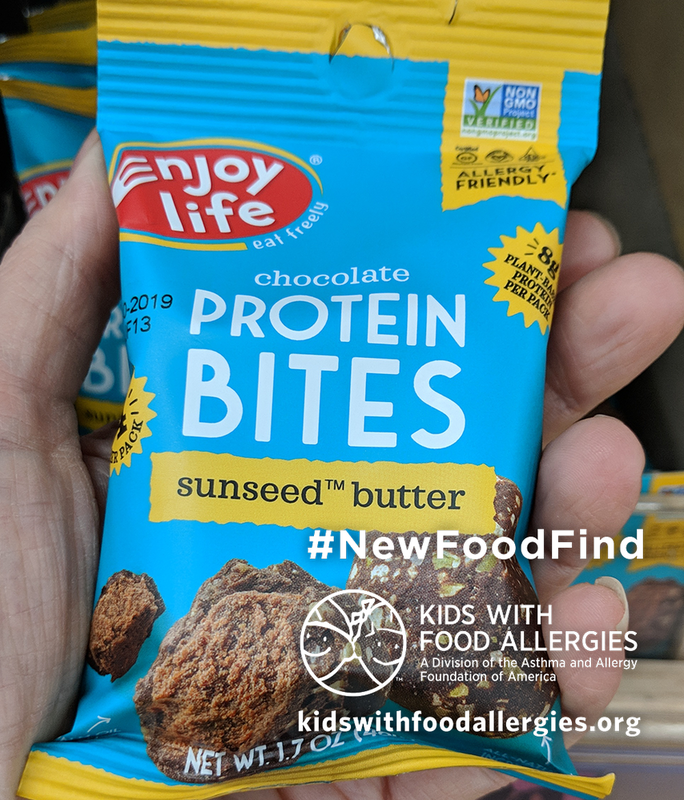 Enjoy Life Foods Grab & Go Sunseed Butter Protein Bites – Chocolatey truffle-like bites with 8 grams of protein per serving. Available at Trader Joe's. Need more ideas for celebrating Easter while managing food allergies? Our Easter Candy Guide has many more candy options. Tips to Safely Celebrate Easter With Food Allergies has many ideas, including crafts, activities and more. Find recipes for your Easter menu in our Safe Eats® Allergy-Friendly Recipe Collection.